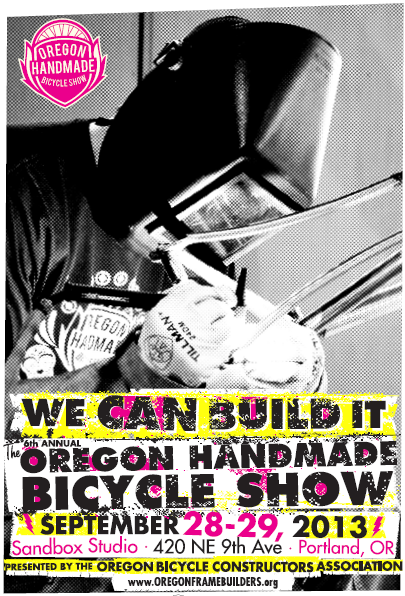 This weekend is the Oregon Handmade Bicycle Show. 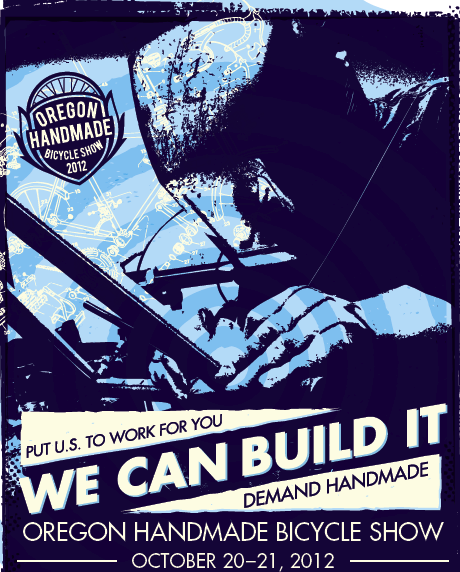 There will be a lot of great bikes to check out, fine craftsmanship from local builders, and because it’s Portland, and because there are bikes, you can be sure there will be beer, also local, and finely crafted. I don’t know that for a fact, about the beer, I’m just guessing. But it’s a pretty safe guess. So whatever draws you out of the house on a (likely) rainy weekend, you ought to come by and check it out. The show is Oct. 20 & 21 at the Vigor Indurstries Building, No. 10, which is at 5555 N. Channel Ave., Portland, Oregon, 97217. For those of you who live here, that's on Swan Island. It's $10 to get in, or $8 if you buy tickets in advance (get them through the bike show website). I’ll have a few bikes in my booth that I’m pretty excited about. One just returned from the painter. It's a deep rich red and has a lot of polished stainless steel bits and chromed racks and wooden rims, very nice to look at. Another bike I’ll be showing is unpainted, a commuter for Jonathan Maus of the famed bikeportland.org. Jonathan's bike has a huge front rack and a steering lock that's simple, and kind of cool. There will also be a full stainless steel bike, polished, no paint anywhere, as shiny as they come.